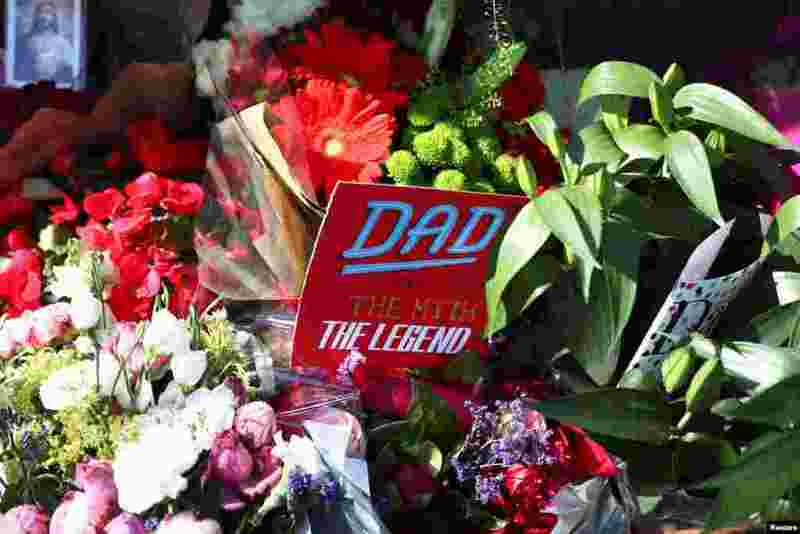 1 A father's day card sits among flowers left for the victims of the Grenfell apartment tower fire in North Kensington, London. 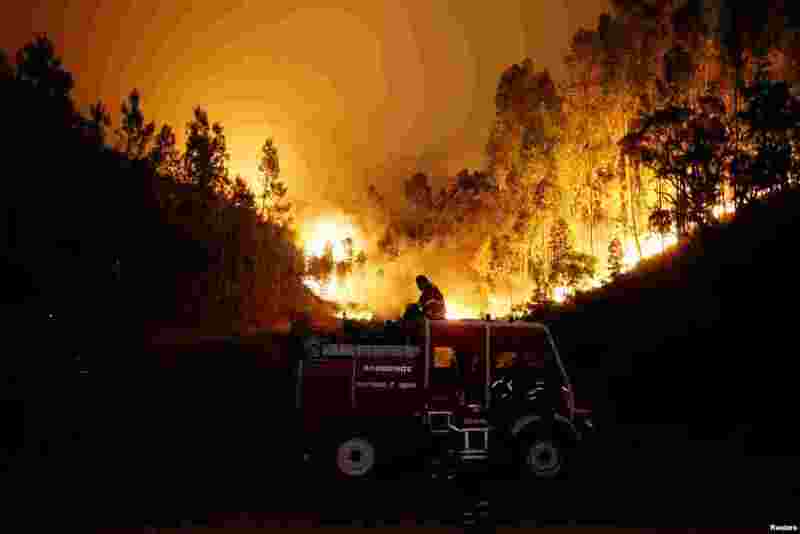 2 Firefighters work to put out a forest fire near Bouca, in central Portugal. 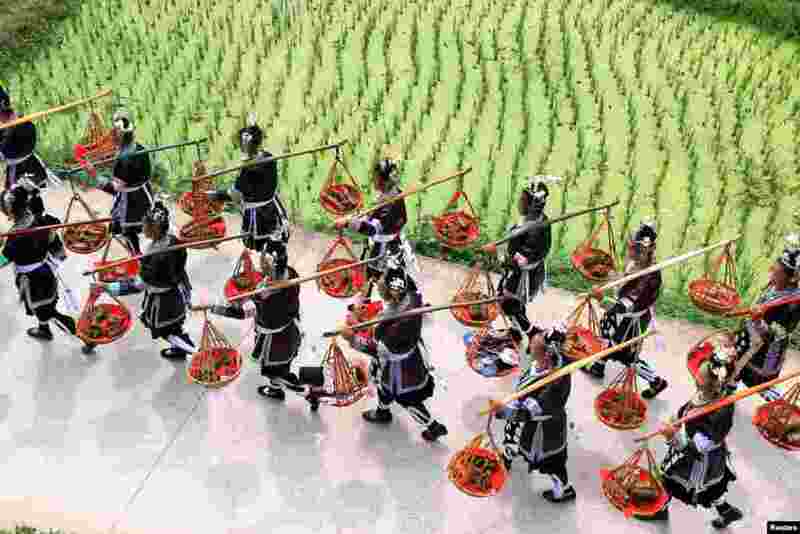 3 Dong ethnic minority women carry packages of "zongzi", or rice dumpling, during a local festival in a village at Liping County, Guizhou Province, China, June 17, 2017. 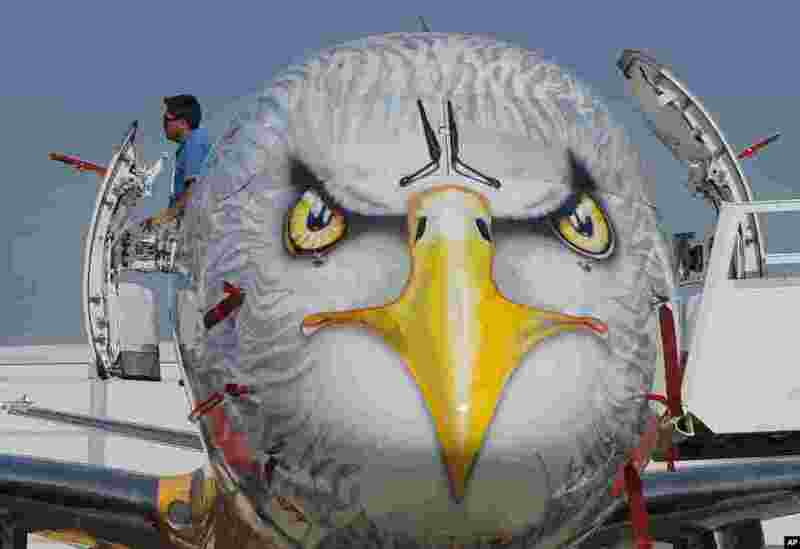 4 A man looks out of the door of a Embraer E195-E2 prototype, developed by Brazilian aerospace company Embraer, at Paris Air Show, on the eve of its opening, in Le Bourget, east of Paris, France.